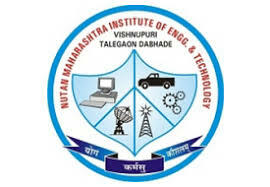 Founded in the year 2008, Nutan Maharashtra Institute of Engineering and Technology, Pune is AICTE, Delhi and DTE, Mumbai approved, technical institute and affiliated to SavitribaiPhule Pune University offering Degree courses in various branches of Engineering. The college aims to become world class institute of higher technical learning by delivering quality education and carrying the research and development in collaboration with Industry. Aspirants willing to pursue admission in college must pass in Senior Secondary Examination or examination recognized equivalent there. Application form will be available on the official website of the college. Selection is done on merit basis and candidates are later called for Personal Interview. In order to attract students from the different states of India, the college has been equipped with modern infrastructure facilities. The classrooms have been accorded with superior furnishing and current teaching technology. The campus includes facilities like library, labs, auditorium, etc. The Institution has got a separate Cell for Training and Placement which helps the students to develop contacts with the companies for final placement in reputed industries and organizations. After the successful completion of course, the qualified and deserving candidates are recruited to the leading groups of companies such as Axis Bank, Congnizant, RBS, etc. Are you Interested in Nutan Maharashtra Institute of Engineering & Technology.